As one of the leading destinations in the world Turkey will amaze you with its remarkable scenery and prosperous history. There are numerous things to do and see. It is popular as a holiday destination with its beautiful coastlines. And it is all spiced up with great food, events, cultural festivals and spectacular symbols. There are always great deals for accommodation in this beautiful country where you will think only of happiness, satisfaction, and fun. It should be the first place to consider when coming on holiday in Turkey. This Mediterranean shore is made of 1600km of best sand beaches with picturesque ruins of old cities. 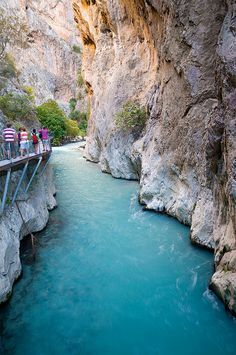 Along most of the shore, you will find a fantastic formation of Taurus Mountains dropping in some places right into the sea. Fine sand, jade sea in front of you and green hills backed by mountainous platforms behind you will leave you breathless. 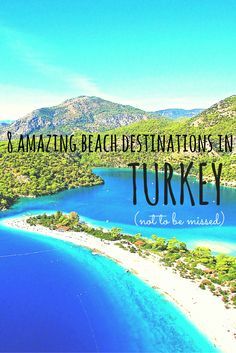 Stretching from Antalya to Marmaris peninsula coast is filled with outnumbering holiday resorts, old cities and beaches to enjoy. And it is connected perfectly with a coastal road which will make your traveling much easier. Sometimes it can be really hard to choose where will you go and what will you visit in this area. Diversity is limitless, and every area deserves equal attention and time because of its’ character and attractions. In the summer, if you are an active tourist you should come to Fun Fethiye because it will provide you best service for canoeing and paragliding including the amazing geographic landscape of limestone and mountain ranges. If somebody finds himself more extreme in adventure than Charming Kas will fulfill his wishes with the best offer of canyoning, rock climbing, and paragliding around magnificent cliffs. 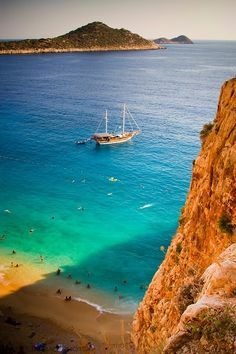 Sunbathing lovers should for sure visit Iztuzu Beach with kilometers of shallow water and golden sand. Shopping enthusiasts must certainly go to upmarket Kalkan where they can find the best offer of souvenirs, local handcrafts, food and textile products. Mandatory spot for fans of history and archeological sites is called Side situated on a peninsula. It is overflown with greatest archeological sites, and on the other side, there are many modern and luxurious resorts and hotels. Antalya center will provide you most remarkable and harmonic scenery combined with nature, ancient runs and history.